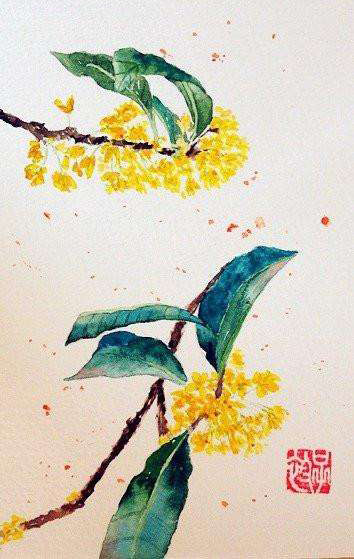 Dan Gui Piao Xiang 丹桂飘香 is the Chinese word to describe the good timing of Chinese Mid-Autumn festival when the osmanthus flower opens, and everywhere in the atmosphere is filled with the fascinating lingering osamanthus flower fragrance. This is the traditional Chinese picture of Dan Gui Piao Xiang. 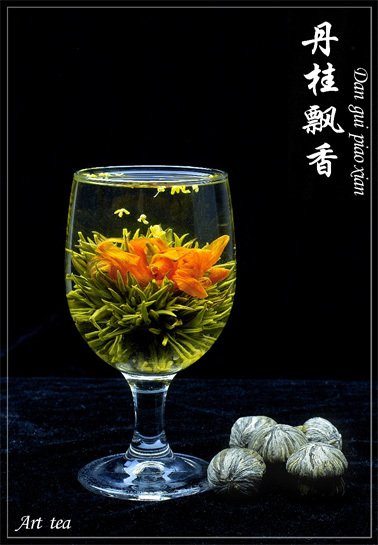 The Blooming tea Dan Gui Piao Xiang uses lily flower and osmanthus flower to express the word Dan Gui Piao Xiang.